The Alley was originally just that...a delivery alley for the adjacent Bogan Building. The Bogan Building (circa 1865) housed many businesses over the years including A dry goods store, Chinese restaurant, Mariposa Soda Works, The Bank of America and many more! 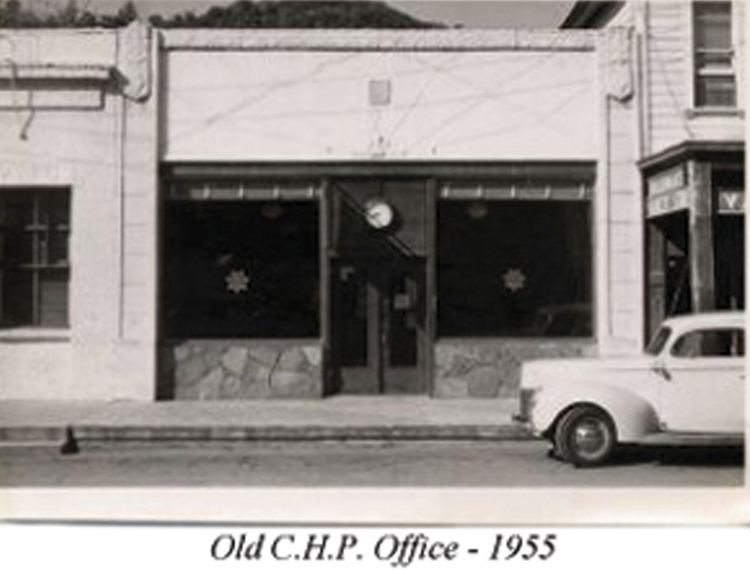 The ally was converted to the first C.H.P. office in the late 1920's-early 1930's.